Many birders or birdwatchers keep a lifelist as a way to remember all of the birds they have seen in their lifetime. Birding can be a competitive sport for some. 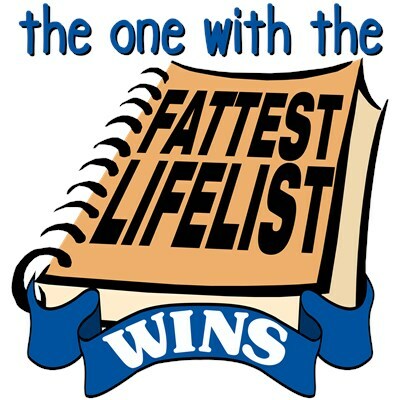 And for those birders, the one with the fattest lifelist wins - in the end. A cute, funny design for any birdwatcher. To order by phone, call toll-free at 1-877-809-1659 from Monday - Saturday 9:00am - 9:00pm EST. You'll need to note the Product Number 030-218344929 to make your order.